"Rich and creamy as cheesecake, but much easier to make!" Very quick, very easy. I used a muffin tin instead of an 8x8 pan and they came out beautifully. Nice for individual servings. 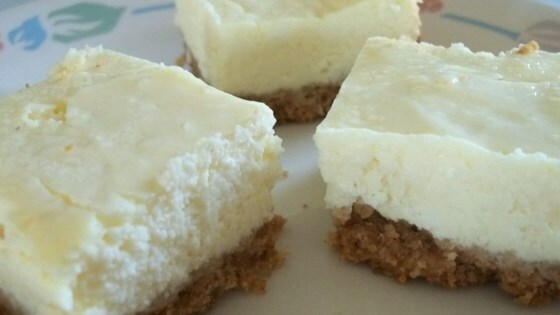 This cheesecake bar was easy to make and tasted just like cheesecake. I omitted the chopped walmuts for the crust and it turned out great. I will definitely make this again!